So quick & easy to take to a BBQ when you’re not keen on the sausages you know will be on offer! Make heaps because all the sausage eaters will be asking for your patties! 1/4 cup chia flour (or chia / flax meal to absorb any excess moisture from the grated veggies). (You could also use grated sweet potato, carrot, zucchini, corn, broccoli…most veggies will work well in this). 1. Combine BixMix with water into a bowl, mix well & refrigerate overnight. 2. Next day add grated pumpkin & finely chopped cauliflower, oil & nut butter. 3. Add meal / flour – enough to make the mixture form easily into patties. 4. BBQ until nicely browned. 5. 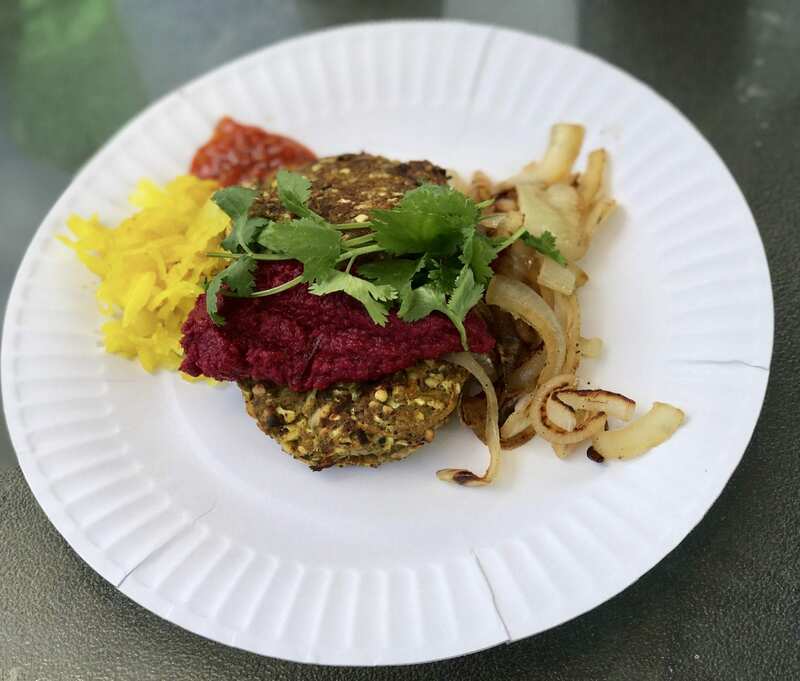 Serve with anything – pic shows beetroot dip, sauerkraut & BBQ onions, topped with fresh coriander & chilli relish – yummo! 6 People – depending how hungry they are / what you’re serving with.